Meet Radio. He’s a bit of a legend here in the small town of Anderson, South Carolina. At 72 years old he’s still in the 11th grade - and he wouldn’t have it any other way. Not only is Radio a student at T.L. Hanna High School, he’s perhaps the most revered member of its football team – the Yellow Jackets – even though he’s never played a second of football. It was 1964, in the heat of August, when JV coaches Harold Jones and Dennis Patterson noticed a young man coming to the practices every day, holding a transistor radio to his ear. They learned he was 18-year-old James Robert Kennedy, nicknamed “Radio” because of his obsession with radios. In today’s terms, he was born with an intellectual disability, and was unable to learn how to read or write, and could barely speak. But the coaches and players saw past that, and soon made him one of their own. Radio would become a permanent member of the team, going to practices, giving pep talks, and leading them onto the field before games. He came from a rough neighborhood across town, and lived with his mom, stepdad, and younger brother, who was also intellectually disabled. Radio loved going into town, perhaps to escape the ridicule and bullying from kids in his own neighborhood. This wasn’t the first time Coach Jones reached out to someone who needed friendship. He says, “I had something in my heart for people like that. There was a kid about my age, lived across the street from us. A lot of people would pick on him. So I kinda defended him, you know. And he was my friend. I just think it was the right thing to do. 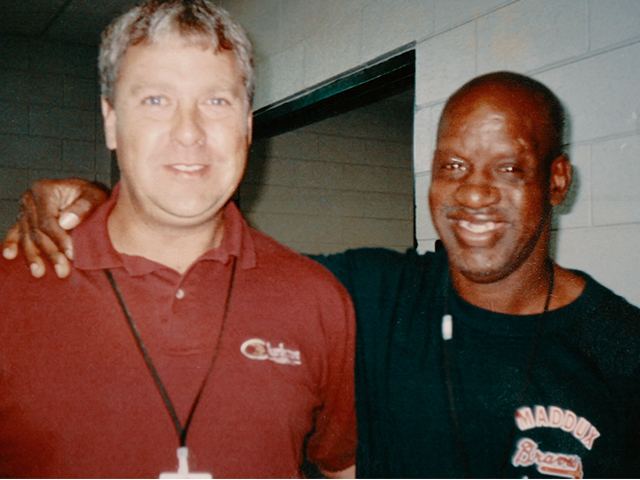 In 1996, Sports Illustrated writer Gary Smith penned an article about the friendship between Coach Jones and Radio. From there, Hollywood director Michael Tollin brought their story to the silver screen in the movie Radio. When Coach Jones retired in 1999, his biggest concern was whether his successors like Terry Honeycutt and others would take care of his dear friend. He didn’t have to worry long. Today that friendship continues. And at Hanna High School, you will still find that same 11th grader greeting everyone with a smile and a hug, and cheering on his beloved Yellow Jackets. From Radio – a young man who couldn’t learn to read or write, or even play a sport, comes a lesson we all need to remember. Meet Radio. He’s a bit of a legend here in the small town of Anderson, South Carolina. Could You Abandon a Two-Year-Old?